Looking to get your 7-11 year old started in fitness? Want to get on the RIGHT track, right away? 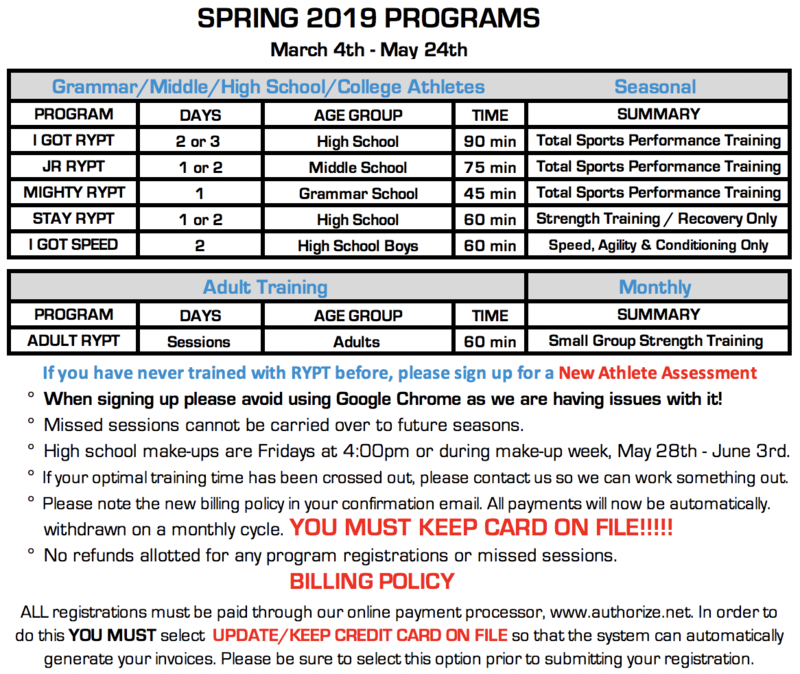 Check out our MIGHTY RYPT program, designed exclusively for grammar school athletes, 7-11 years old. This one-day a week, 45-minute program focuses on the foundational elements of a beginner's performance program. Athletes are playing sports younger and younger each year. And with the cost of multiple teams, tournaments and showcases, comes a cost of overuse to the body. We want to make sure that we develop a great foundation of fitness and skills early on to prevent issues as they get older. Plus, this is the BEST time to teach the necessary skills to run fast, jump high and control their bodies before they hit a growth spurt in their pre-teen years. There is no actual weight training in MIGHTY RYPT. Everything will be done with the resistance of body weight, medicine balls and/or resistance bands. Please state which days you prefer in the comments section when you sign up.